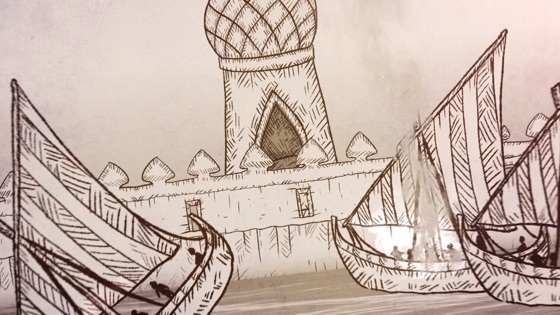 Through the Golden Ages: The History of Chess is an animated film that explores the ancient game from its origins in India as it spread across Persia to its adoption in the Middle East, and its migration into Europe and around the world. Chess is a game that is surrounded in mystique and intrigue, and where its champions are hailed as society's brightest and most intelligent. Through wars, chess has both been spread and adopted by the conquerors, each empire influencing the game and being influenced by it, whilst attaching it to bold symbolism. 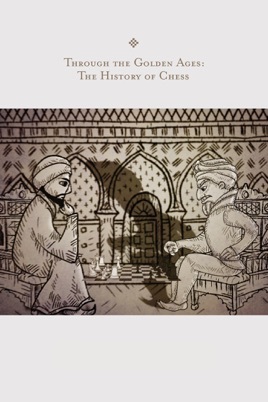 For Harun Al Rashid’s empire, chess reflected the teachings of Islam and its emphasis on intellect over luck. For the mighty Queen Isabella of Spain, co-sponsor of Christopher Columbus’ voyage that discovered America, the game evolved to reflect her ruthless power. For the U.S.A. and Soviet Union, the Championship between Bobby Fischer and Boris Spassky became a proxy battle in the midst of the Cold War. Through 15 centuries, from its ancient roots to the silicon age, chess has endured and found its way into the modern day as it continues to be played by millions of people around the world.